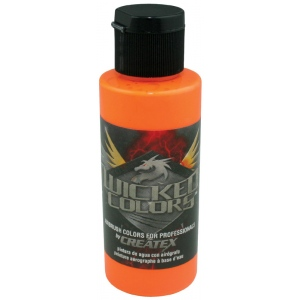 Wicked colors represent an improvement on perfection with a high performance formulation. * This multi-surface airbrush paint is suitable for any substrate from fabric and canvas to automotive applications. * Incorporating mild solvents and exterior grade resins Wicked yields an extremely durable finish with optimum light and color fastness. 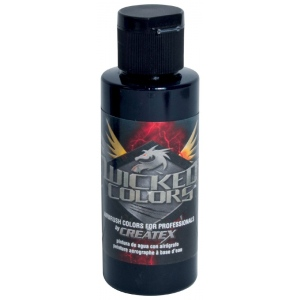 * Operating under lower pressure yet maximum atomization makes detailing control color changing and cleanup a breeze!